the way of your real work? Are your employee problems getting in the way of your real work? Book Your FREE HR Consultation Now! Do you have a nagging feeling that your HR processes aren’t compliant and might be putting your business at risk? Do you have a disruptive or problematic employee? Need someone to help you hire effectively without taking over? Any other HR problem niggling at you that you just don’t have time to deal with? Don’t worry, I get it. Dealing with your HR issues can be one of the hardest parts of your business. It can be incredibly overwhelming trying to wade through the flood of information about HR processes and compliance. When you’re dealing with real people though, the stakes are pretty high. If you do something wrong, things can run off the rails quickly. One wrong move and one disgruntled employee and before you know it, things are out of control, you and your business are vulnerable and it’s hard to know what to do. As a business manager, you probably don’t have the luxury of spare time to acquire the knowledge and skills to deal with all your HR issues. So how do you figure out the way to protect yourself and make your business run as smoothly and productively as possible? What if it was as easy as picking up the phone? What if all you had to do was pick up the phone and have an HR expert help you deal with your issue and give you the steps to solve it? What if you could start this process in just 15 minutes? It doesn’t seem possible to be on your way to a solution so quickly, but that’s where we come in. With 40 years’ experience behind me, I have dealt with the problems you’re facing now countless times before, so I can easily help put those issues behind you. And I can do it with the least amount of fuss, while still making sure you’re doing things by the book. I have worked in large and small organisations, and been a small business owner for over a decade, and I’ve found that, whatever your industry, the key HR challenges remain the same. Having me and my team in your corner gives you access to a wealth of HR knowledge and expertise to tackle these challenges head on. Seriously, we’ve seen it all, so we can quickly identify the root of a problem, even one that has escalated to the point where you thought it couldn’t be fixed. We can clearly confirm the issues, identify and talk through options, provide clear steps to implement decisions, and even coach you through putting the strategy into place. Experience the relief of solving your HR problems and the confidence that having a competent, experienced HR advisor supporting you can bring. We know you’re not just going to take a blind leap of faith and place your trust in someone off the internet though, so, I invite you to find out first hand, and for free, how good we are by following the simple steps below. I look forward to helping you solve your HR problems. If you think our advice sounds good and will solve your HR headache, you can purchase our Your HR On Tap Starter Pack and get 3 hours of support credited to your account, then we’re off and away, with a 15 minute head start! If you aren’t satisfied that we can help you, simply say “no thanks” and hang up the phone. No hard feelings. Worst-case scenario: you lose 15 minutes of your time. Best-case scenario: you solve your problem and gain a trusted HR advisor you know you can rely on for practical and effective HR support. We are so confident you’ll be happy with the advice and support you’ll receive, that to make it even easier to make this decision, we’ve decided to remove all risk to you by providing a 100% Satisfaction Guarantee. If you use up your credit and you don’t think the price you’ve paid has been worth the HR support we’ve given you, we will give you a full refund, no questions asked. Our first priority is making sure you are completely satisfied and get the support and advice you need. So what are you waiting for? Give us a call and start solving your HR problems today! I can do this myself! You could, but how much time and money will you waste on Google going around in circles, with no guarantee you’ll ever find the right information and could still be open to liability? It’s much easier and cheaper for you in the long run to get the support of a HR expert who can give you practical steps to make your business compliant, help your team be more productive, and keep your business running smoothly. Can’t I just talk this through with my friend to figure it out? Your friend could be a great person to bounce ideas off, but there is no guarantee they will know the correct solution for your unique HR issue and bad advice could put you and your business at risk. Our team of HR experts has dealt with many different facets of many different businesses, so you can be confident that we have the knowledge and expertise to help you solve your HR issues, without opening yourself up to liability. I’ve managed fine by myself so far, so why do I need you? The scary thing is that you might be vulnerable right now and not even know it. Many people we’ve helped have been fine for years, until one wrong step, one stroke of bad luck, or one disgruntled employee has messed things up for them. It’s only when things went wrong that they realised they’d been lulled into a false sense of security. Why put yourself at risk when you can make a small change and protect yourself now? We’re a small business ourselves and the HR support and advice we provide you with will be specific, realistic and doable, and based on years of HR experience and knowledge. We take something incredibly complicated and make it easy. Why should I pay you when I can just do it myself for free? Even if you do it yourself, it won’t be free. Your time is valuable; you shouldn’t have to waste it attempting to untangle a problem single handedly that one of our HR experts could help you solve much more efficiently and effectively. It’s kind of like trying to handle your IT stuff all by yourself. You might be able to handle the day-to-day things kind of okay but if you come across a problem you’re not entirely sure how to solve, you could accidentally make the situation even worse. HR processes can be just as complicated and you don’t want to leave your business open to liability. We’ll make sure you and your business are protected, which will cost you much less in the long run. I don’t think I need 3 hours. You may not, which is why you get to keep the rest of your credit to use whenever you like; it never expires. If solving your initial HR issue only takes a short amount of time, you can save the rest of your HR support for when you need it, even if that’s years down the track. It’s also good to know you can pick up the phone at any time and say “Hey, this is the situation, I’m about to do this, is this the right step?” and have access to an HR expert’s advice. Sometimes a quick phone call might be all you need to stop a potential disaster in its tracks and get you back on the right path. 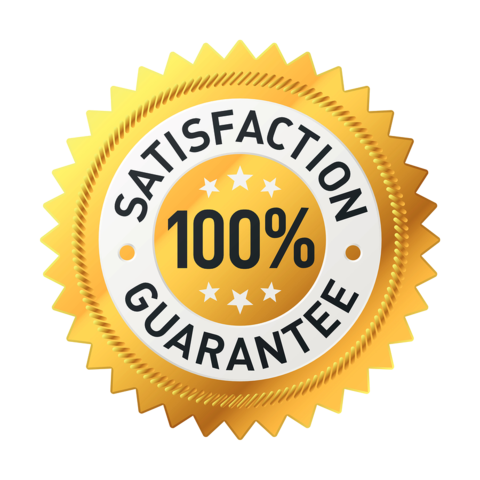 We have a 100% Satisfaction Guarantee, so if you use up your credit and don’t think the HR support you’ve received was worth the price you paid, we will give you your money back, no questions asked. WHAT DOES YOUR CREDIT GET YOU? “Your professionalism and organisation has been absolutely awesome. “While working with Shai I have had nothing but great experiences. ENTER YOUR DETAILS BELOW & WE’LL GIVE YOU A CALL. Not ready to talk to a real person yet? Why not download our FREE Employee Start Up Checklist to get you started? 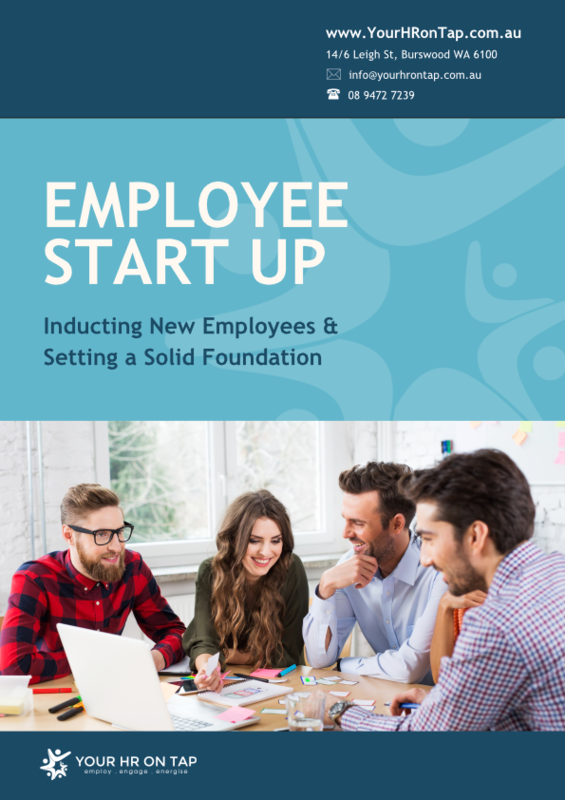 Download your FREE Employee Start Up Checklist! Send me my FREE HR Checklist and subscribe to mailing list!